The Supreme Court (SC) commenced hearing on Monday the final appeal of Asia Bibi against her death sentence in a blasphemy case. Supreme Court of Pakistan has claimed that there was no any solid justification or proof put by people who have accused Aasia Bibi of blasphemy, and the verdict has directly been gone in the favor of Aasia by three judges of Supreme Court. For the time being, media has been prevented to discuss any details related to the case as the verdict was reserved on 8th October. 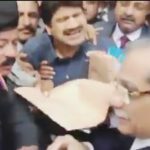 A three-member bench headed by Chief Justice of Pakistan (CJP) Saqib Nisar, comprising Judge Asif Saeed Khosa and Judge Mazhar Alam Khan, resumed the hearing regarding the appeal against the execution of Christian woman, Asia Bibi. During the hearing today, the bench reserved its verdict on the appeal and adjourned the hearing. The bench also directed the media not to discuss the case, local media reported. Earlier, a notice had been issued to all parties including the Punjab prosecutor general. If the apex court rejects her appeal then Bibi will be the first person in the country to be executed for blasphemy. 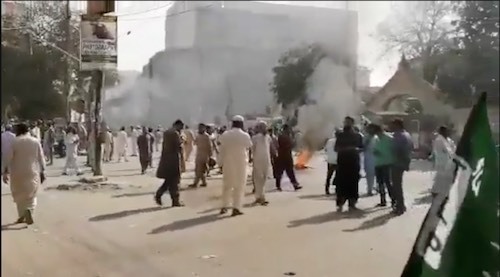 The situation has become no less than a nightmare in all the major cities of Pakistan; Lahore, Karachi, and Islamabad have been blocked by the protestors.